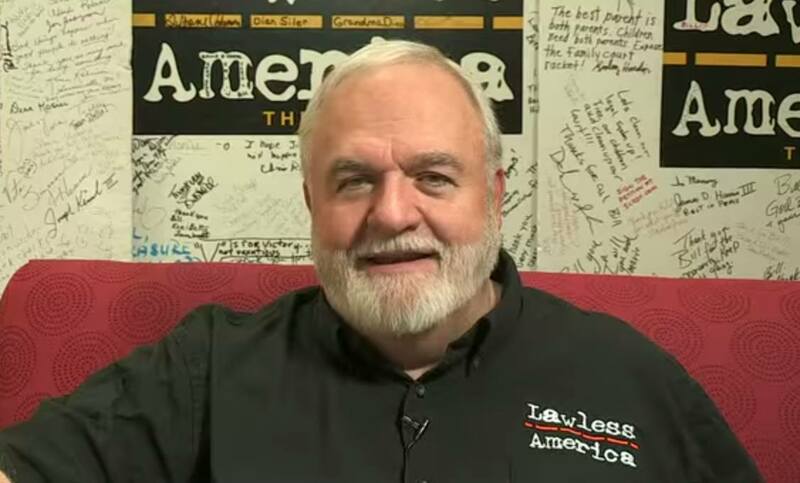 Filmmaker Bill Windsor has been in the process of producing a film called "Lawless America" since 2005. It is a film project which exposes the corruption in the American judicial system. He currently has over 1200 videos in his YouTube channel of testimonials from American citizens who have experienced corruption in the judicial system first hand. Windsor was detained in Texas in October of 2014, and held in jail for over 50 days before being released in December of 2014. He is 66 years old, and claims this is the first time he was ever arrested and detained, and previously had never been charged with a crime. He states he has never used drugs, and is a "non-violent law-abiding citizen." He has filed numerous lawsuits across the country, including a couple of cases where he claims he was attacked by "cyberstalkers" who allegedly want to discredit his work. After being released from jail in Texas, he started a "road-trip" and blogged twice a day, once in the morning, and once at night, to let everyone know he was still free. The blog posts stopped on February 19th. Health Impact News and other alternative news media began a search for Mr. Windsor, and found that he had been incarcerated in Ada County jail in Boise, Idaho on February 19th. Health Impact News spoke with Bill Windsor from Ada County Jail this past weekend, and he wants us to covey to everyone that he is "OK." He stated that he is currently being held on a $4.1 million bond. Why? What happened to Bill? Did he overcome and is producing his movie? Godspeed to Bill Windsor and his efforts to restore Liberty to America! His newly created website Lawless In America says you need a username and password. His website Billwindsor.com will not load at all. Someone is blocking people from reading whats on his website. He has been extradited to MTand appeared in court today. I don't have any other details. I got this from a another website that is following this case. A habeas case was filed on 3/11/15, and it appears they combined this with the other original cases. Docket shows dismissed yesterday 3/20/15. Case # CR-FE-2015-0002390, CR-FE-2015-0002389 and CV-HC-2015-03902 Was he extradited? The story does not say what he is charged with.